Sounds like Donald Trump could snag a certain prominent TV lawyer sometime soon — as long as he can pony up. “Better Call Saul” star Bob Odenkirk said that his titular lawyer would definitely represent Trump, saying that the two would “have a bit of a mind meld” when it came to solving problems. But, Saul Goodman wouldn’t put up with any talk about free work. “Saul is like a really good guy, comparatively to the real world,” Odenkirk said before Meyers asked is Saul would represent Trump. Odenkirk said he created an entire backstory for his character back in the “Breaking Bad” days that included having Michael Avenatti and Michael Cohen as frat brothers. “And get this — his professor, his favorite professor, was a guy named Rudy Giuliani,” Odenkirk told Seth Meyers on his talk show Wednesday night. 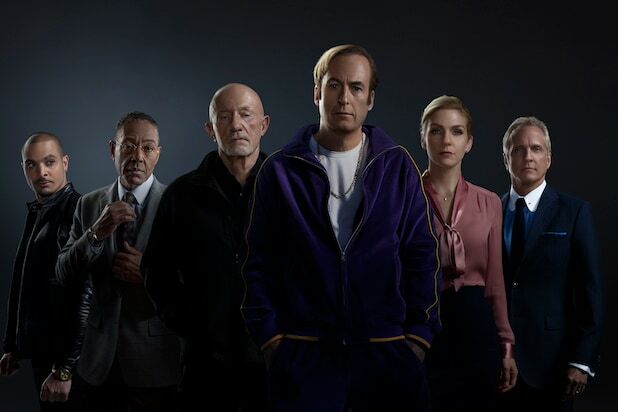 “That all makes sense now,” Meyers said, pointing out that Saul/Jimmy McGill has always been willing to cut corners — and now real-life lawyers are even worse than the fictional “Breaking Bad”/”Saul” attorney.